GPS tracking technologies have been available for civilian use for more than 15 years. This technology was supposed to help citizens become safer and more efficient in their daily activities. However, most fleet managers have found it overpriced and not useful. Not to mention, traditional fleet tracking did not provide beneficial results due to long, painful installations, inaccurate reporting, delayed data and expensive hardware. Azuga was created to alleviate these pain points. Our mission is to “shake up” the traditional fleet tracking and GPS technology industry – and it has worked. In just three short years, we’ve won awards, evolved our innovative technologies and been installed in more than 1,000 fleets across the U.S.
Today, Azuga has continued its commitment to remain an inexpensive, innovative and accurate fleet tracking GPS and driver behavior solution. Yet, after speaking with customers in the field, the team realized that there were other challenges occurring for fleet managers that new technology could help solve. These challenges include reducing driver turnover, more efficient routing as well as more stringent safety measures. 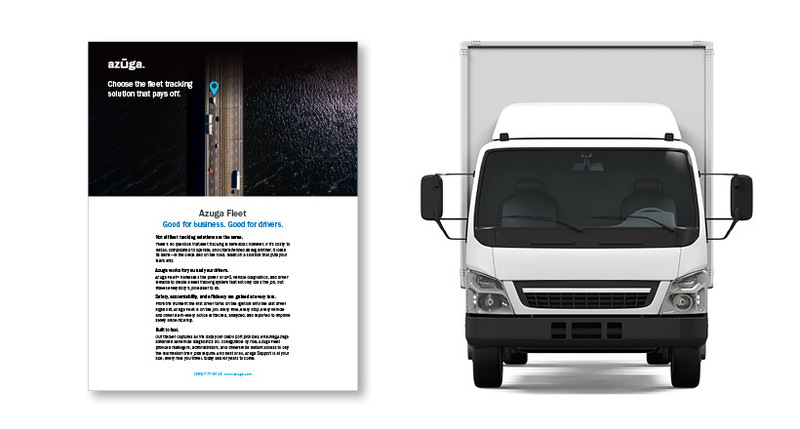 As a result, we’ve improved Azuga’s product – making it a complete fleet telematics solution. In 2012, Azuga began revolutionizing fleet telematics with breakthrough pricing, lifetime hardware warranties and no contracts – all industry firsts. Knowing a vehicle’s location allowed business owners to choose the best routes, save time, avoid high fuel costs and reduce excessive mileage. Many companies invested in traditional GPS systems that required expensive hardware, hard-to-schedule and expensive installation, and long contracts with high recurring monthly costs. Even with those investments, there was no visibility into actual fuel used, vehicle health and risky driver behavior patterns. Azuga’s instant-install OBDII device began monitoring vehicle health in as little as 22 seconds, and allowed companies to track their fleets for just 69 cents per day per vehicle (price includes GPS tracking device). Powered by Azuga’s G2TM technology, the device “read” vehicles’ engine data up to 60 times more often than standard GPS tracking systems and sent data to the cloud, giving fleet administrators real-time snapshots of vehicle health, fuel usage, Carbon footprint and driver behavior. This was 2012. Over the past three years, Azuga has matured into a credible thought leader in the industry, servicing fleets of all shapes and sizes with its continued promise to “shake up” the traditional fleet telematics industry. In late 2014, we launched our latest product, Azuga Fleet Mobile, the industry’s first-ever driver rewards and gamification app. And we’re innovating again. In January 2015, Azuga launched its social telematics program. “Social telematics,” a term and service coined by Azuga, combines driver visibility, gamification, employer funded rewards and social sharing to bring a refreshing new approach to fleet telematics. With social telematics, Azuga secures its position at the forefront of the industry. Not to mention, when drivers compete to win with this new technology, fleet managers receive effortless ROI from GPS fleet tracking. In 2015 we also announced our Azuga Safe Driving Award program, designed to motivate and incentivize both fleet managers and drivers to practice safer, more efficient driving. The quarterly program helps fleet managers continue to increase overall ROI and, ultimately increase safety in the communities where they live and work. Our rapid growth is due to our customers’ results and Azuga’s incomparable accurate data reading, price point and technology. No other company is providing fleets with such comprehensive information. The innovation will not stop here. Team Azuga is in constant contact with its customers to ensure our technology solutions are truly providing value and helping companies reach their goals and objectives. So, you may be wondering…what’s next? The Data Science team at Azuga Labs is collecting data now that will be able to serve our customers in the future in a way that has never been done before. Currently, the team is developing fuel economy profiles for each vehicle from a repository of rich, fleet-trip data collected over several years across various regions of the U.S. These profiles will provide expected fuel economy in different regions and climatic conditions for different vehicle makes and models. 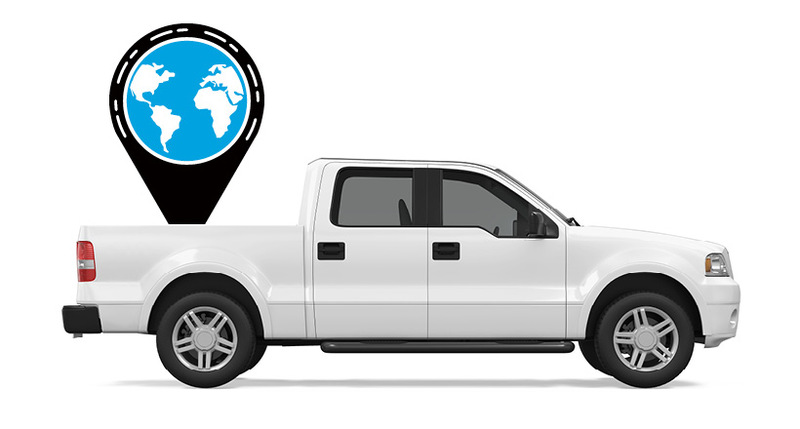 For example, a fleet manager could select the profile for a Ford F150 in Colorado in January, and compare that with his Ford F150’s actual fuel economy. This profile, for example, will provide information on the truck’s expected fuel economy at a high elevation (with lower air resistance and oxygen levels), as well as rolling terrain. The same Ford F150 in another region, like Florida, in August, characterized by lower elevation near sea level and fairly level land, will have a very different fuel economy profile. 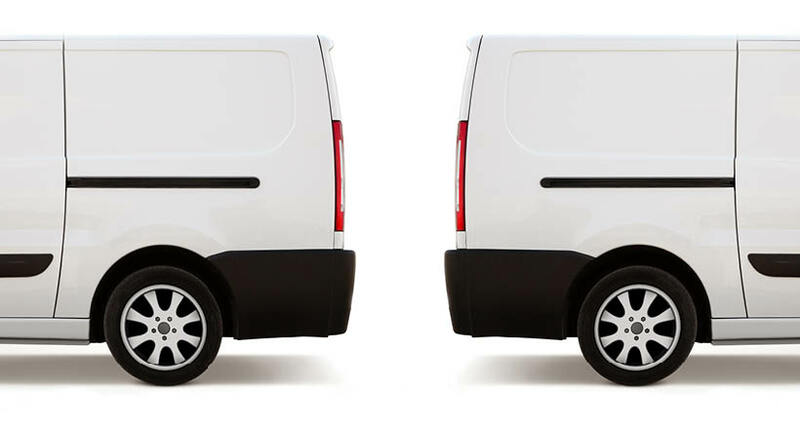 Comparing a vehicle’s fuel economy to a region and climate-specific benchmark will help a fleet manager understand whether the vehicle’s fuel economy is adversely affected by poor driving or improper maintenance. This data will also help fleet managers better determine budgets, and make more informed vehicle purchasing decisions. Azuga Labs is also mining its rich fleet database of Diagnostic Trouble Codes (DTC) and building associations between multiple DTC occurrences, fuel economy and maintenance data. We anticipate that this innovation, combined with telematics and big data analytics, will lead to an automated diagnostic system for fleet vehicles. This ‘virtual mechanic’ will use a sophisticated model to assess whether an issue needs immediate attention or not. Based on such a diagnostic system, fleet managers will be able to make an informed decision on vehicle maintenance timing, saving time and money on unnecessary checks and sticking to work schedules when the check engine light comes on for a very minor issue. However, it can also help diagnose serious issues needing immediate attention, keeping drivers even safer and vehicles running properly. This is just a peek at what the Azuga Data Science team is developing. We truly believe data is power, and this is just the beginning of the future. At Azuga we are constantly looking for ways to help our customers achieve their goals – from driver retention to decreased gas mileage to safety. Have ideas on how we can further improve our technology? Let’s continue the conversation on Twitter, @Azuga__GPS, or contact us here.